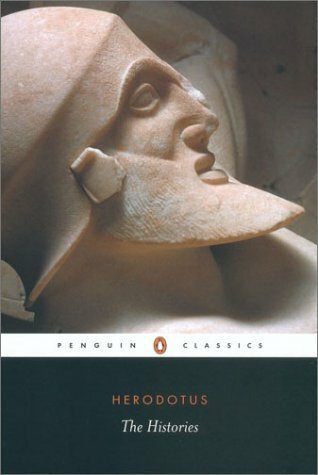 The story of the Greek city-states uniting to repel a superior Persian army is the main theme in this classical narrative, but Herodotus fleshes out his text with digressions, describing the wonders of Egypt and recounting stories and folk tales. immense army of slaves by a much smaller number of Greeks fighting to preserve their freedom. Herodotus wrote history, but his methods and assumptions were not those of a modern historian, and his work was unjustly rejected by his successor Thucydides as factually highly unreliable and full of inappropriate romance. By his own admission, Herodotus retold the stories of other peoples without necessarily believing them all. This allowed him total artistic freedom and control to create a picture of the world that corresponded entirely to his own view of it. The result is a picture of Herodotus's world that is also a picture of his mind and, therefore, of many other Greek minds during the period known as "late Archaic." During this period, the Greek mind was dominated by reason, the domain of the first philosophers and the observant and thoughtful medical theorists of the Hippocratic school. Traditional beliefs in the gods of Homer and in their Oracles, especially the Oracle at Delphi, also dominated during this period. The literary genius of Herodotus consisted in the art of the storyteller. The stories he chose to tell, and the order in which he told them, provide his readers with a total view of his world and the way in which the will of the gods and the ambitions of humans interacted to produce what is known as history. For this reason the ancient critic Longinus justly called Herodotus "the most Homeric of all authors." Like Homer, Herodotus strove to understand the world theologically---a goal that makes his work difficult for the reader to understand at first. But, in place of Homer's divine inspiration, Herodotus used his eyes and ears and wrote not poetry but prose. Rejecting what is commonly known as myth, he accepted instead "oral tradition" about remembered events. For example, although he believed that the Trojan War had been fought, he could not investigate it beyond what the poets had said. In his view this "ancient history" of the Greeks and the peoples of Asia was not like contemporary history, because the heroes of old who had created it were beings of a different and superior order who had had a different, direct, and personal relationship with the gods. In recognizing this distinction, Herodotus defined for all time the limits of the historian's discipline.